Check the new schedule for Hungary, Africa, India, Middle East, Argentina and Latin America! 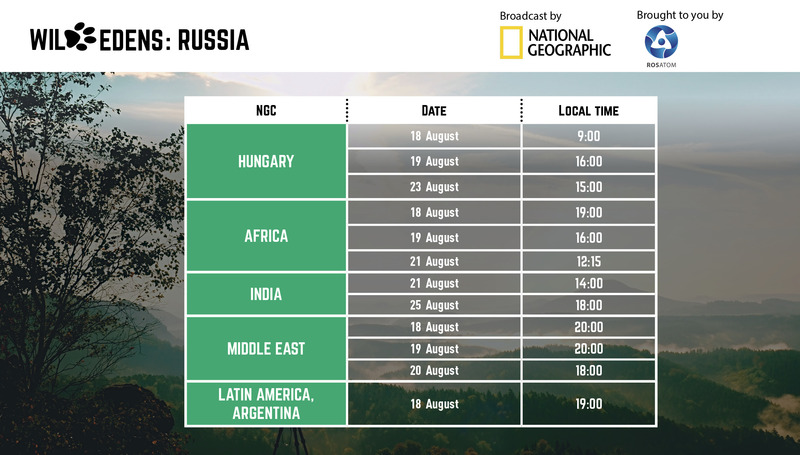 There are some changes in the schedule for Hungary, Africa, India, Middle East, Argentina and Latin America. Check the changes on the picture and don’t miss “WILD EDENS: RUSSIA” in your country! PreviousPrevious post:Beauty or Danger? See if you can tell the difference!NextNext post:What was most memorable location?